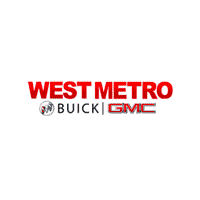 I had a great experience at West Metro Buick GMC. Everyone was very friendly and spoke to customers on a personable level. Would recommend to anyone. I thought the service was first class from start to finish. Kent took time to show me the vehicle very thoroughly. The other staff was also very courteous and helpful. I did my research online and the best deal I found on the GMC Terrain Denali was at West Metro Buick GMC. I contacted Jared Nebel and set up an appointment. I had never been in West Metro Buick GMC before and I must say that I was very impressed with the cleanliness and easy access of the lot to look at vehicles and when I entered the Building it was immaculately clean and modern. I met my salesperson Jared Nebel immediately and we conducted business in a no-nonsense and direct manner. He did not waste my time and exerted absolutely no pressure to buy the vehicle I was interested in. He answered every question I had and was very knowledgeable and showed me many features I did not know about the vehicle. Jared was pleasant, courteous, and very helpful. I must say from the time I entered the lot all the way through to the financing, this was by far the most pleasant experience I have had in purchasing a vehicle I have ever had. Super wonderful, Jarod is fantastic!